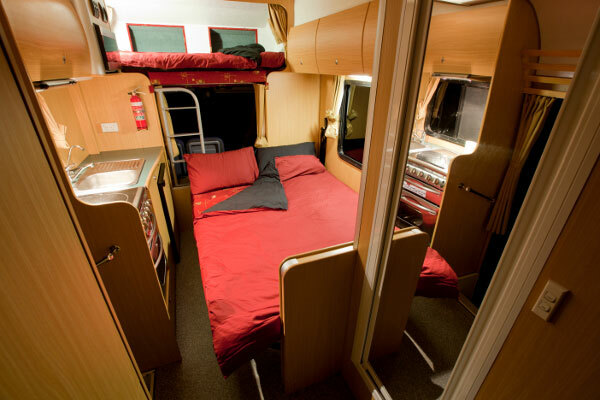 The Wendekreisen Budget 6 Berth Motorhome rental New Zealand offers comfortable living and sleeping space for a family of up to six adults. The entire fleet was recently refurbished between May and August 2018. The refurbishments included a full replacement of all upholstery, curtains, most cabinetry and a substantial number of mechanical components. 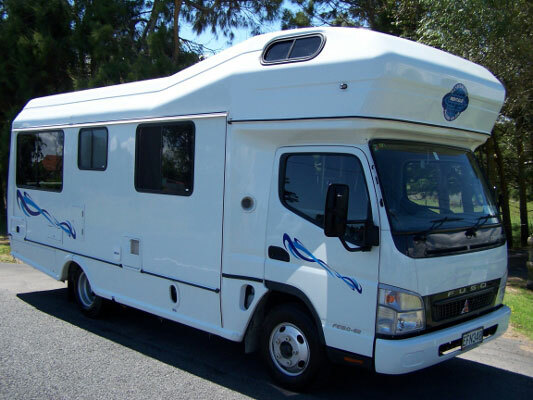 To sum it all up, these units are in excellent condition, reliable and will not disappoint. The budget 6 comes packed with a range of modern appliances. 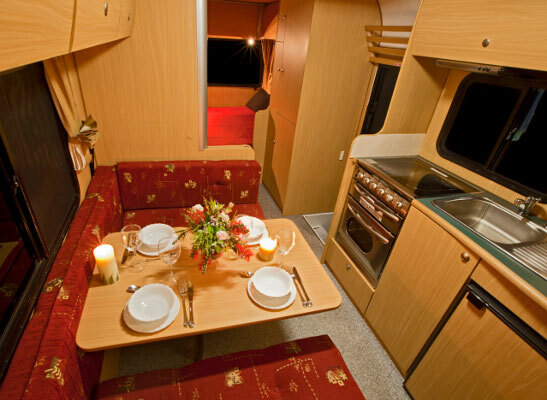 The vehicles feature a full shower & toilet, hot & cold running water, a spacious 12V fridge, a microwave, inbuild TV, and a 4-stove cooker/grill/oven combo. 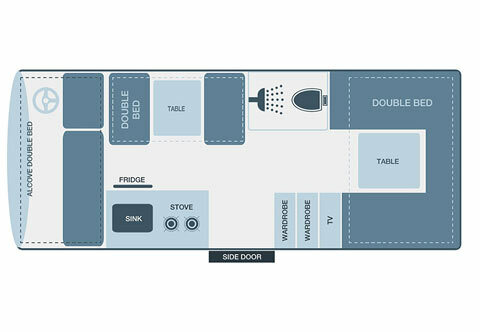 Three spacious beds allow you to accommodate your whole family. 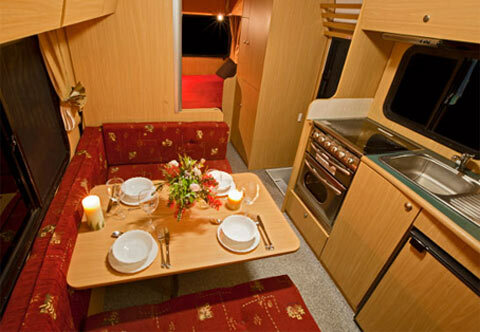 The LPG powered heating system ensures you can enjoy a warm place wherever you are. 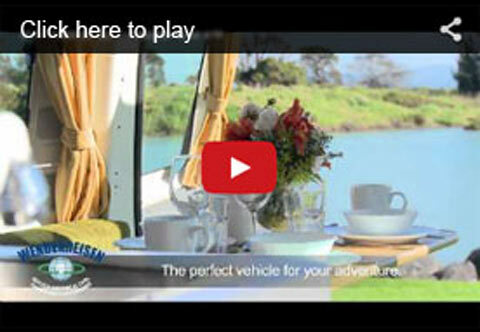 The large rear windows offer great panoramic views, so you can always enjoy our scenery. 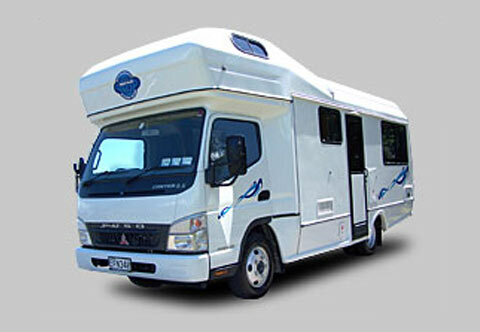 This vehicle is certified self contained in accordance with New Zealand Standard 5455:2001. Fuel consumption: 14.5 litre/100 km approx.